If a heroine acts in a Bapu film, her craze increases. Easwari Rao is a Telugu lady but she entered the film industry with Tamil film. She has later acted in a Telugu film 'Jagannatakam'. Five years later she acted in 'Rambantu' and she became busy. Eawari Rao is alwasy selective when signing films.. she has become a sensation now. 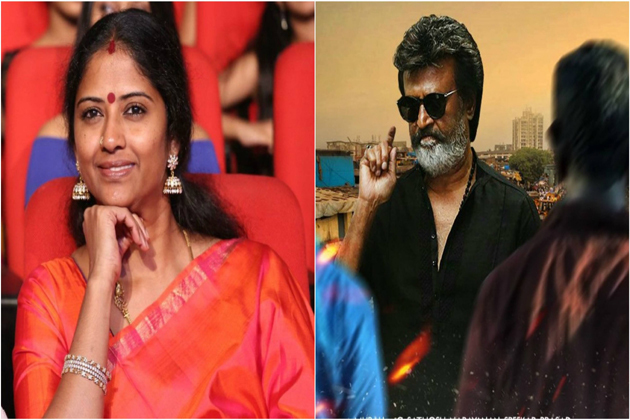 She is playing Rajini's wife role in Rajinikanth's latest film 'Kaala'. She is saying that 'Playing this role.. and watching me on big screen.. it's my gift to my children. I can't say anything more about this character". Even though she gets many offers she gives importance to several aspects before signing a film. After doing Prakash Raj wife role in 'Bhadra'.. she didn't act in films until 'Legend'. She has acted in 'Andhra Pori'.. 'Brahmotsavam'.. her recent films include 'A Aa' .. 'Nenu Local'.. 'Ism'. Easwari Rao has been appearing in mother roles continuously.. but she got a superb offer from 'Kaala' to be paired opposite to Rajini.